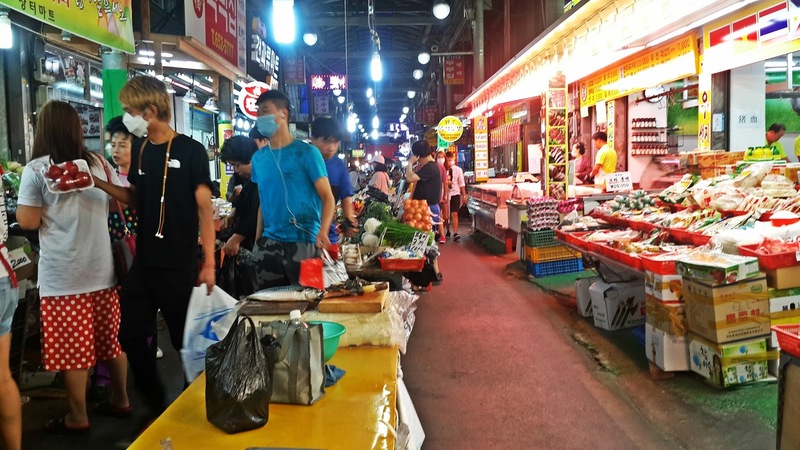 MERS or Middle East Respiratory Syndrome has put South Korea into chaos these past few weeks. It all started when a 68 year old businessman returned to Korea from his trip to Middle East. He suffered severe coughing and fever causing him to visit several medical centers for treatment. He was later on diagnosed with MERS leaving trail of infections to the hospitals he visited and to the people he met. Today, the virus has killed 14 people already and infected 138 people since the first diagnosis on May 20, 2015. The virus spreads fast all over Korea and the latest MERS-diagnosed patient is in Busan. The latest person who died from MERS virus is a 68 year old woman who contracted a virus from one of the hospitals in Pyeongtaek. Pyeongtaek City is about 15 minutes away by bus from where I live. Despite the warnings, I went there just this afternoon just to see how the city looks like. Pyeongtaek City is one of the first 8 cities in South Korea where MERS has been diagnosed. In my mind, the city would look like a ghost town because people are afraid to go out and stores are all closed just to avoid in contact with people. But that’s just in my mind. I wouldn't really know how it looks like unless otherwise I go there and check for myself. 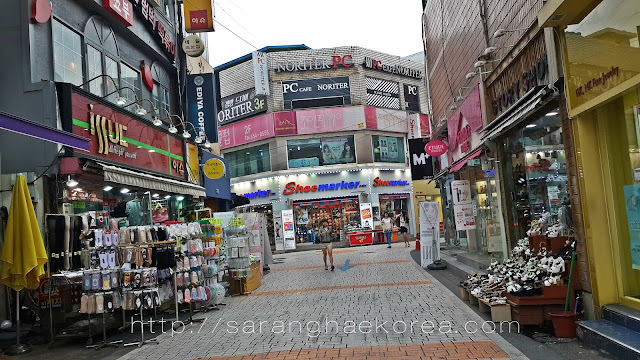 So to put things into perspective, I went to Pyeongtaek City and here’s what I found out. 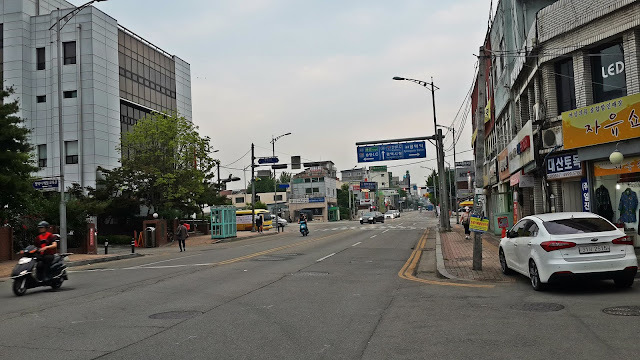 MERS maybe just around the corner of the city, but it’s still business as usual at Pyeongtaek. However, it is now as crowded as before. If you have been to Pyeongtaek before and you have tried going to the market, it’s not supposed to look like this. Yes, stores are open but I can only count people by my fingers. Pyeongtaek Yeok is one of the busiest subway stations in South Korea. Usually, when I take subway train from Pyeongtaek Yeok, that would also means standing for hours because there are a lot of passengers from this station. 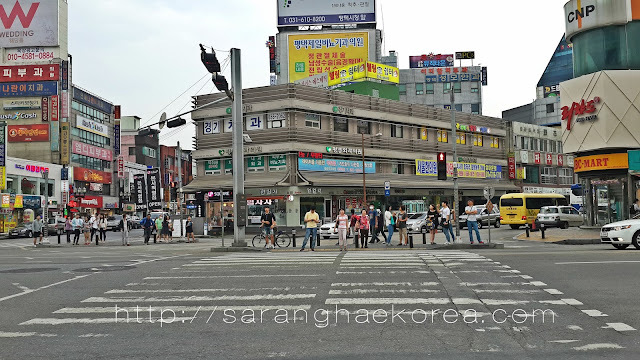 But the number of people taking subway from Pyeongtaek has significantly decreased. It is not as crowded as before. These people are about to cross the pedestrian line to the Pyeongtaek Station, as you can see, you can count them easily. Prior to MERS outbreak, the number of people going to the subway station is double or triple the number of people you see in this photo. 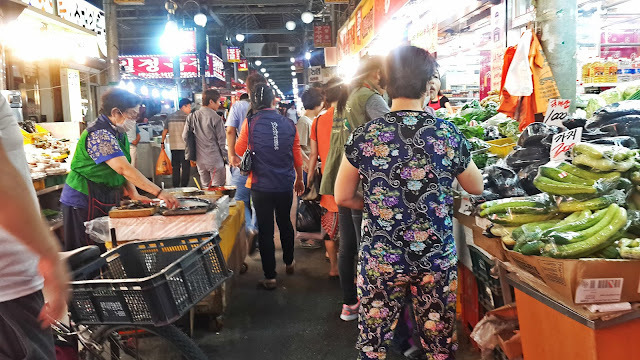 I went to the market and I saw that it’s congested with people. Of course people need to buy food, and although it’s not safe to go to public places like the market, people have to go there for grocery. Some of the customers and vendors took precautionary measures to prevent MERS by wearing mask. Even at malls, vendors are seen wearing mask and they have plenty supply of hand sanitizers especially the cashiers. Some sanitizers are even put in public areas and in toilet rooms so that people can use it for free. Although business in malls especially the AK Plaza at Pyeongtaek Yeok goes as usual, I only saw few customers which I think make it safer to shop at malls because there are not a lot of people there. MERS Virus maybe crippled the economy of the City, but Pyeongtaek is not totally damaged just yet. There are still people buying, there are still stores opening and business operates as usual. Although it’s not as vibrant and lively as before, the most important thing is, it’s still operational. Pyeongtaek will surely bounce back once this virus is completely defeated. Just give it time and the night mare will just pass. All I know is that, Pyeongtaek is not yet a ghost city. Like what Pink said in her song, “We’re not broken, just bent”. MERS is a very dangerous disease because it has no vaccine or medicine just yet, but with proper knowledge on how to prevent it, Pyeongtaek or any other infected places in Korea, is not something we should avoid. And in case you don’t know some precautionary measures on how to avoid MERS, you can read my previous post about that HERE. I got the mightiest weapon against all diseases, known on Earth - Don't panic - The deadly MERS CoV can be wiped out along with any other viruses and the economic growth of South Korea and the rest of the world will sky-rocket - Relax! - MERS, Ebola, Zombie, SARS, TB, AIDS, Colds, Flues, Measles and any other viruses and pathogens can be killed the moment they touch us - Only my discovery (the greatest one of all time on Earth and maybe in the Universe) can rid this world of any diseases - I got the power (and everybody can possess it) to erase any diseases from the face of the planet in a matter of days - I got my WVCD - The Weapon of Virus and Cancer Destruction - By far more powerful than the human immune system, keeping it intact all the time, for any pathogens are killed the moment they touch us - Just an exercise for a minute a day - The cure and prevention of any diseases, known on Earth for millions of years - Infections, Cancers, Diabetes, MS, Alzheimer, Parkinson's Disease, Cardiovascular Diseases and Strokes - Even Tibetans and Yoga don't know how to stay absolutely healthy all the time - Staying absolutely healthy all the time means living in another, higher dimension, like the extraterrestrials do - If the astronauts intended to fly to Mars cannot stay absolutely healthy all the time, that mission will become impossible - The price of the WVCD for the whole world is 5 billion EURO - Just 25 million EURO per country - Can be paid to me by the governments of all countries in the world - Then everybody (kids and adults) will know how to stay absolutely healthy all the time - Never getting sick of any diseases even for a second - Like Extraterrestrials! 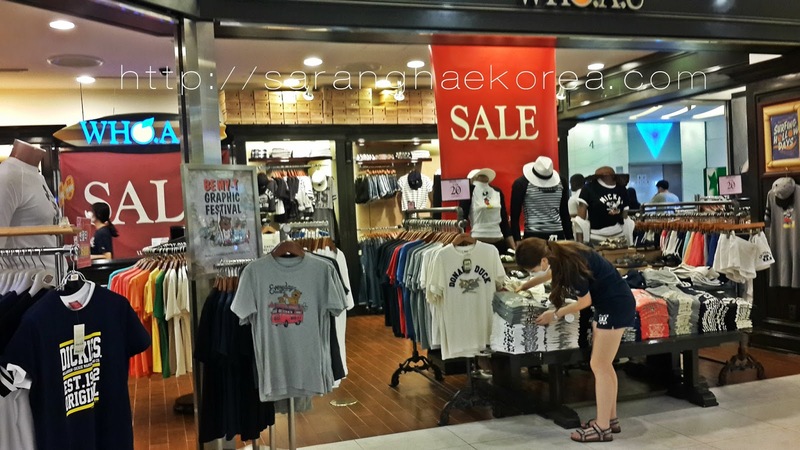 How to Avoid MERS Corona Virus in Korea?